Do your hair and make up in vintage style with this lovely piece. 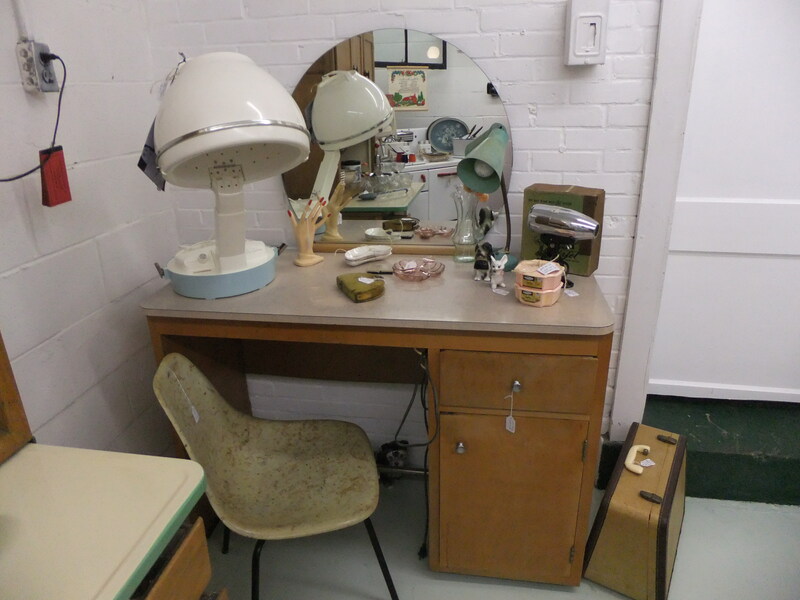 Dresser has a formica top, foot rest bar, and electric outlet to plug in your hair dryer and curling iron. This piece has one deep drawer and a spacious cabinet as well, with a lovely round mirror that lifts out of its slot for easy transport or replacement. Dresser offered as is. Mark down due to missing door hinge pin…easily replaceable.